Police in Australia's wildfire-ravaged state of Victoria say they are confident of catching arsonists they suspect are behind some of the fires. A 100-strong police investigation squad has been set up, and some scorched towns declared crime scenes. 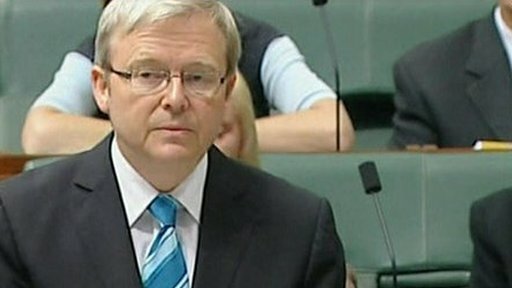 Australia's Prime Minister Kevin Rudd described the possibility of arson as "murder on a grand scale". The official death toll stands at 181, but is expected to rise steeply as the operation to recover bodies continues. About 500 people have been injured and nearly 1,000 homes destroyed across 365,000 hectares (902,000 acres) of torched land, said Mr Rudd. He told MPs that areas devastated by the worst bushfires in Australia's history would be rebuilt "brick by brick" and "school by school". Residents in parts of Victoria state are still on alert as more than a dozen fires continue to burn uncontrolled. Victoria State Police Commissioner Christine Nixon has launched Operation Phoenix, vowing to catch anyone who started a blaze. One site where arson is suspected is Gippsland, east of Melbourne, which is among a number of sites which have been sealed off as possible crime scenes. Australian Attorney-General Robert McClelland said suspected arsonists could face murder charges. "We are left speechless at the thought and the possibility that some of these fires may have been deliberately lit," Mr Rudd told the Canberra parliament. "Let us attend to this unfinished business of the nation and come to grips with this evil thing." The current official death toll is 181, but Victoria State Premier John Brumby has warned that dozens of bodies remain unidentified, with others unrecovered, and the final toll is likely to exceed 200. Ms Nixon said rescuers were carrying out a thorough search of charred areas. "Road by road, house by house, we are working our way through," she said. "As we go into areas now that we haven't been able to get into before, we believe we'll find many more." Forensic investigators from around the country, including experts who helped to identify those killed in the Bali bombings in October 2002, have flown in to help with the operation. Mr Brumby has announced a judicial inquiry into the disaster, and authorities will review current policy on bushfires, such as allowing homeowners to stay and defend their properties. Mr Rudd pledged that damaged communities would be rebuilt, with no limit on federal spending, and he appealed for charitable donations. The Australian Red Cross said A$31.2m (US$21m; £14m) had been donated by individuals, local authorities in Australia and corporations. It has appealed for blood, money and clothes, as some people escaping from the fires fled their homes with only the clothes they were wearing. US President Barack Obama was among a number of leaders from around the world who called Mr Rudd to offer condolences and help. 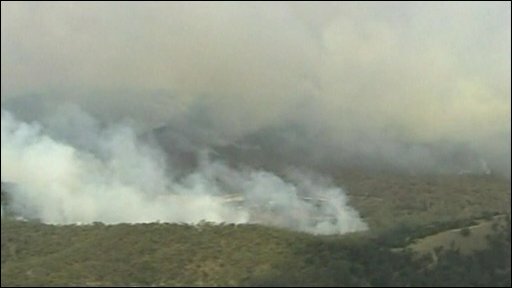 Talk of arson in the town of Whittlesea, north of Melbourne, provoked immediate fury, reports the BBC's Phil Mercer. The thought that some of the devastation was man-made is, to many locals, incomprehensible, he reports. 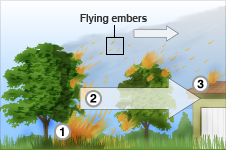 A record heat wave and changing wind direction on Saturday helped fan the flames. Many people are searching for loved ones among the survivors taking refuge in Victoria's relief centres.